I need to write a book. I have a partial outline. I have an overall outline for the entire series. I know where I need this book to end up and mostly where it’s going. I just can’t seem to begin the damn thing. One of the key things you really need to do as a writer is hook your readers from the start. I love a book with a great opening – and even better, a book that grabs me with the opening sentence. You’ve got to pique their interest. You’ve got to grab them and not let them go – particularly in this age of the Amazon 10% free sample read. You’d better get them sucked in and rolling, or you’re not going to sell that book. At the same time, you have a story or maybe even a world to build, so you can’t always just drop the readers off a cliff. The why’s and wherefores of the build have to be carefully plotted and revealed, which isn’t always so great when you’re trying to channel this stream of creativity out of your head and through a keyboard. When you’re done bleeding out from that, begin again. And again. 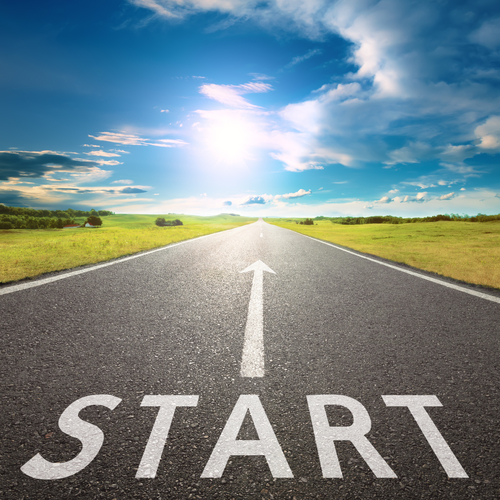 Begin as you mean to go on, begin with gusto and try to begin where you haven’t begun before within the story. You’ll find it, eventually. But it starts at the beginning – and if you’re lucky, it only starts there a few times.